Here’s how you can update your Mac to macOS Mojave final without losing your files, settings, photos, videos and more. There are all sorts of users out there and each one prefers a different route of installing an operating system. Some might prefer the clean install route, others might just despise the process of creating a bootable USB altogether. Then there are those who love installing stuff in the simplest possible manner. If you’re reading this tutorial, then it means that you fall in the latter group, and just want to get on the macOS Mojave final bandwagon without going through the process of backing up files and settings. If that’s the case then we will show you how you can install macOS Mojave without losing your files or settings at all. 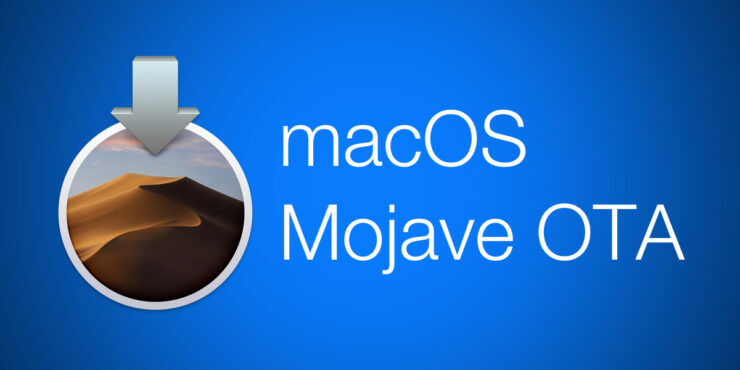 Note: Before you go ahead, please make sure that your Mac is compatible with macOS Mojave. You can check the list by going here. 1. First of all, connect to the internet if you haven’t already. You can either use WiFi or Ethernet, whichever you have available and most reliable. 2. Now, save all your work, then launch the Mac App Store. 3. Once the Mac App Store is done loading, click on the Updates tab at the top. 4. Wait for the Updates tab to refresh as well, and you’ll see the macOS Mojave update pop right up in a few seconds, if not minutes. 5. Click on the Update button next to the macOS Mojave final update itself and let the download happen. During the download process, we strongly recommend that you do not fiddle around with your Mac at all. Just let everything happen in complete idleness. Once the download is complete you will presented with a prompt asking you whether or not you wish to continue with the installation. You can postpone it if you like, but we suggest getting over with the installation immediately. If you like, you can just let the update run overnight so you are presented with a fresh sight of macOS Mojave the next morning. Quite frankly, if you’ve been having a lot of performance or even battery related issues, then I will not recommend going ahead with the over the air method. Simply perform a clean install. It’s like dipping your Mac in bleach to clean out the bugs you’ve been facing for a long time.